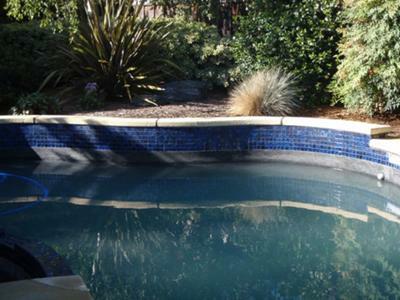 We all know the water in San Jose is pretty hard, which means having a swimming pool with a 2 inch white line from calcium build up is not a decorative statement. After surfing the web and calling Pedro from Integrity Stone and Tile Cleaning we booked the job. Pedro's brother Chris was assigned the task of bringing our pool back to life. I have never met a most positive person in my life, speaking of Chris of course. He was excited about my pool project and made me feel good about the end result. My God!!! Chris was right!!! What a great job and the price was also inline with other bids. We will also be using the crew to take care of our tile needs in our bathrooms and lets not forget the granite countertops in the kitchen. We wish Pedro and his crew "family" the best and would be honored to be a reference. Call us anytime.